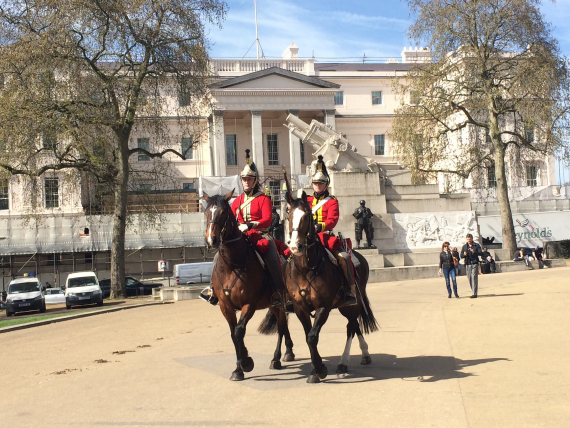 This is the 200th anniversary year of the Battle of Waterloo and two London properties connected with the battle and its victorious commander are Wellington Arch and Apsley House – the home of the Dukes of Wellington. 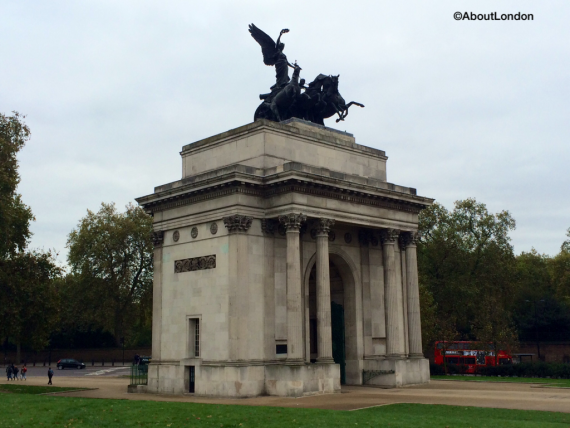 Wellington Arch and Apsley House reopened on Saturday 18 April 2015 and I visited for a preview to see what has changed. These mounted ‘guards’ came out for the preview day. Here, it’s all about the build up to the battle as there’s a new ‘Waterloo 1815 – The Battle for Peace’ exhibition with highlights including the Duke’s handwritten battle orders, his battle sword, and a pair of original ‘Wellington Boots’. On 18 June 1815, at Waterloo in Belgium, the 1st Duke of Wellington commanded an army of British, Dutch, Belgian and German troops, aided by a Prussian force, against Napoleon Bonaparte’s French Armée du Nord (Army of the North). The Waterloo campaign ended 25 years of war in Europe and in European colonies around the world. Napoleon was defeated and spent the last six years of his life in British custody. Wellington Arch was built in 1825-27 and is surmounted by the largest bronze statue in Europe, depicting the angel of peace descending on the four-horsed chariot of war. 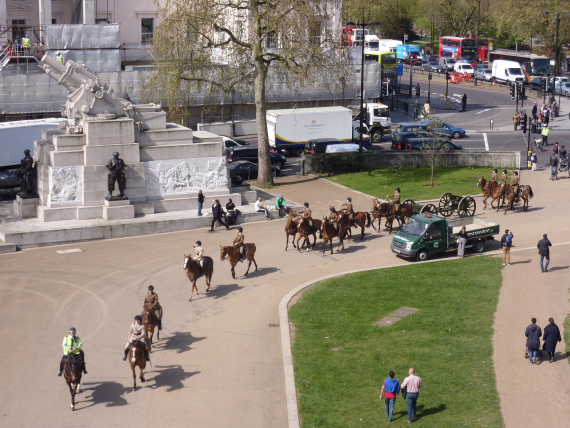 Top Tip: Mounted cavalry pass through Wellington Arch at 10.40am and 11.40am and you can see them from the balconies. 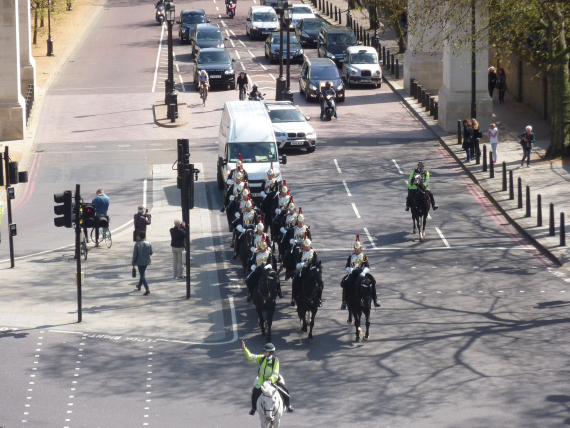 This was the guard coming off duty from Horse Guard’s Parade. As a lucky bonus we saw The King’s Troop Royal Horse Artillery going out to practice for the Queen’s Birthday salute as well! Here it’s more about the life of the Duke of Wellington – the ‘Iron Duke’. While the whole place has had a jolly good dust and tidy up, The Waterloo Gallery is the most transformed as it has been laid out to recreate one of the Duke’s annual banquets to commemorate the battle, including a surviving menu plan. 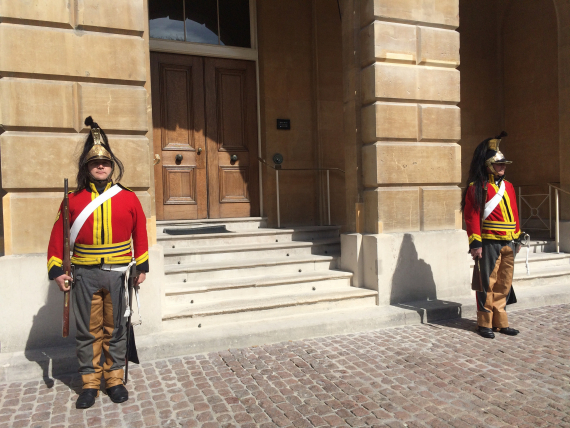 A special welcome at Apsley House. 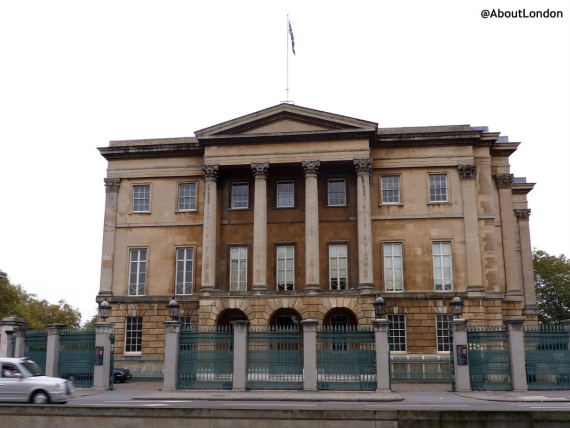 Apsley House is still home to the 9th Duke of Wellington today. It was commissioned by Baron Apsley in 1771, and was enlarged in 1828 while the Duke of Wellington was Prime Minister. 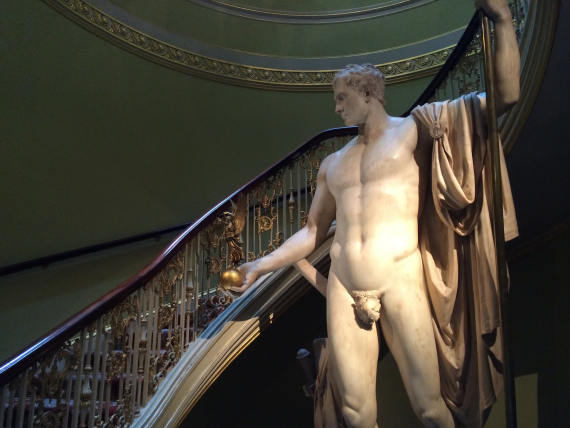 You can’t take photos inside Apsley House so I got a few snaps for you. A larger than life-size statue of Napoleon in the stairwell. 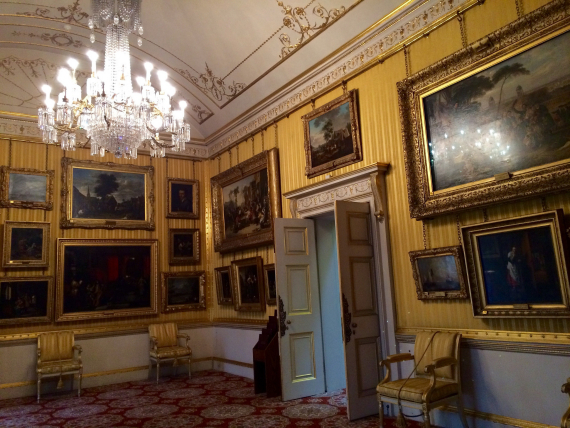 There are new multimedia guides to help you explore Apsley House and I tried the Family Trail with my 8 year old daughter. 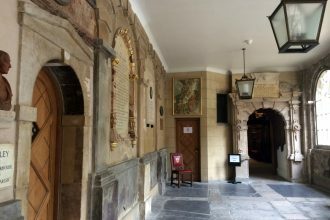 In each room you get an introduction, try an activity and then choose your favourite object for your own personal treasure chest which you view at the end. 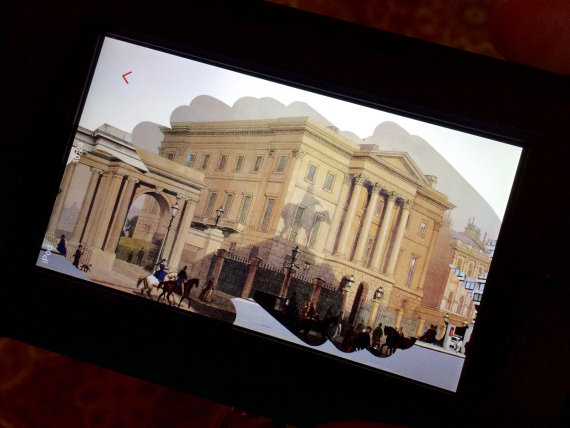 We got to rub away to see what Apsley House used to look like. 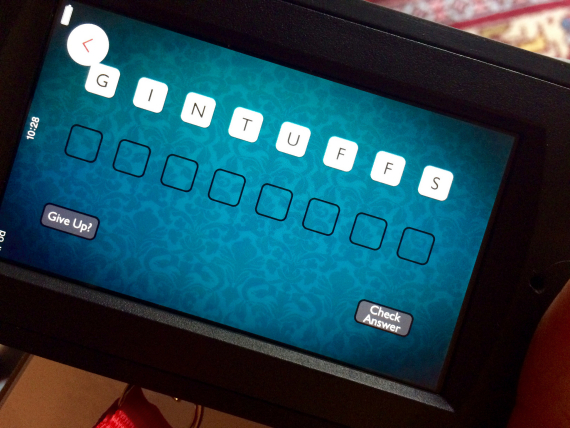 This was my favourite anagram activity! We loved discovering the Duke’s favourite dessert was Parmesan cheese ice cream, and were really impressed how the guide got us looking in more detail and learning more about the Battle of Waterloo with small chunks of information in each room. We would have included the fact that one of the portraits on the landing looks like it’s facing you whether you’re on the left or the right, and that the chandelier in the last room on the trail has mirrors on four sides so you can see the chandelier repeating whichever way you look. The Duke of Wellington adored his horse. 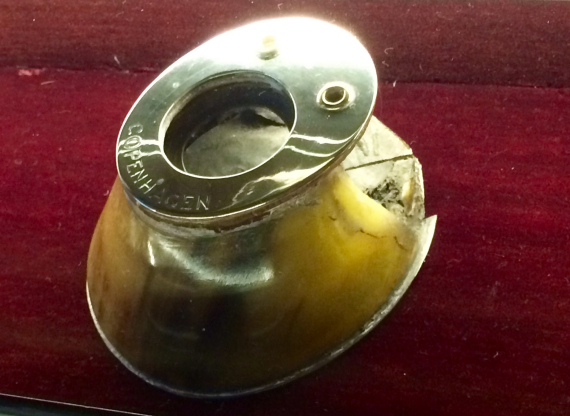 When Copenhagen died he had his hoof made into an ink well! Top Tip: Apsley House is also known as ‘Number 1 London’ as it was the first address inside the London boundary from the west. There’s lots planned for this anniversary year including an evening with the 9th Duke of Wellington talking about his famous ancestor on Tuesday 5 May. There’s also a Waterloo Weekend on 11-12 July, 18-19 July, and 25-26 July. And for the August Bank Holiday there’s a Regency Weekend on 29-30 August.